This one is Bianca. There are a total of 3 fruits on the plant right now. Big, beautiful and lovely creamy white color. 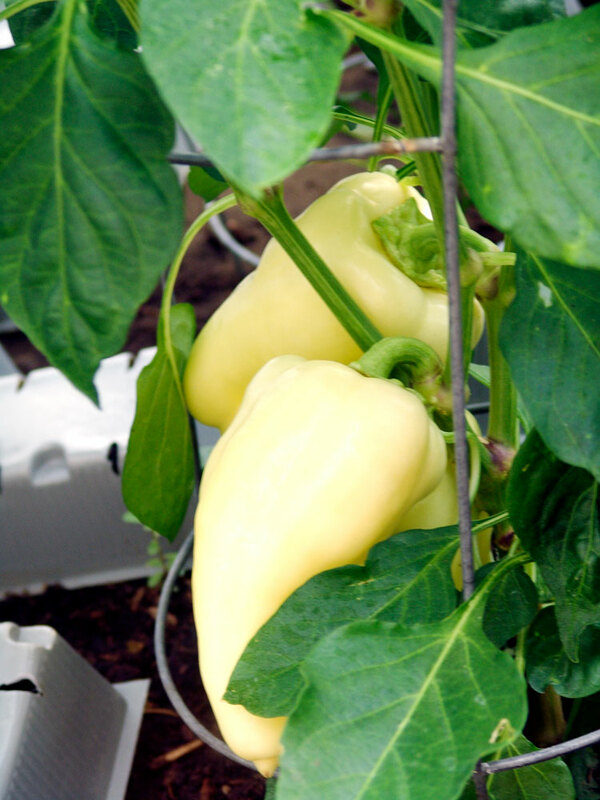 I fell in love with the white peppers when I grew my Albino Bullnose. Cubanelle. Another one of my favorites, I grow it every year. Since I don’t like hot peppers, I use these for stuffing as in Chile Rellenos. They turn a pretty fiery orange. Who doesn’t love purple? This is called Islander, a new one for me. 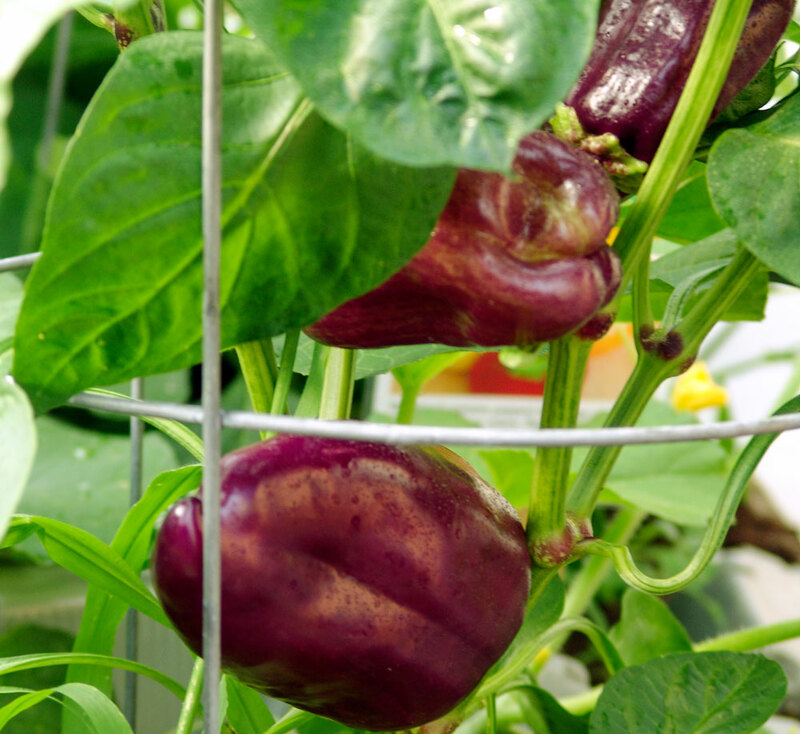 It starts out as a tiny green pepper and turns to purple as it matures. The next color will be red, yellow, orange, not sure what order before it reaches final maturity. This would make a pretty and lively salsa or cut up into salads. Very beautiful peppers! Good job! Keep it up! That Islander should have been named Chameleon! 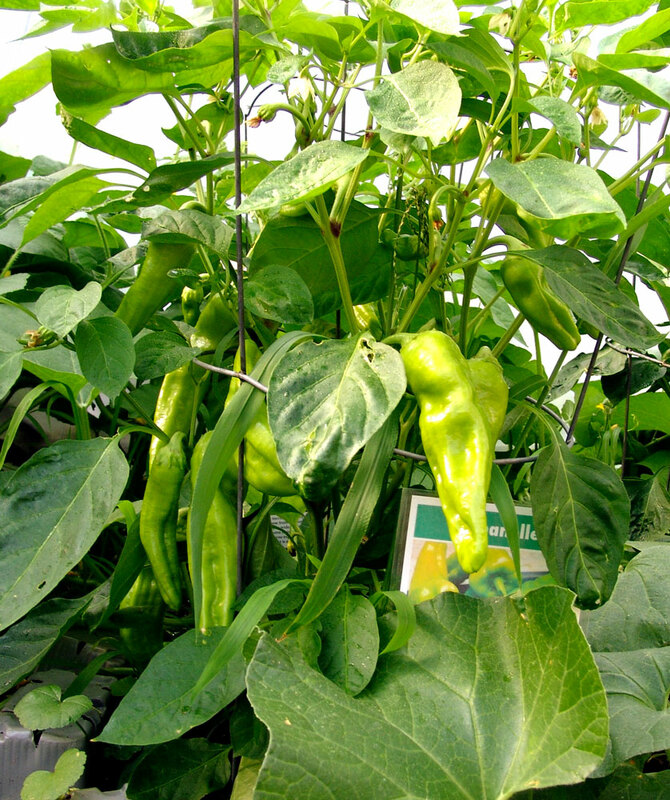 What a fun pepper to grow. I’ve never seen the white ones before and I’ll have to try the cubanelle, too. Now see what you started? 🙂 Already planning next years garden.